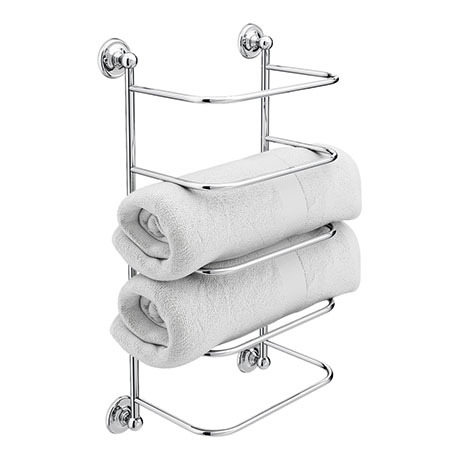 A stylish and practical towel stacker from the Chatsworth range, features space for up to five standard size towels. The Chatsworth range of charming bathroom accessories features classic styling which blends beautifully with any style of bathroom. Excellent quality would have been nice to have had an email or text to say goods had been dispatched I was lucky that I was in well good delivered.